If you have any questions about the SAHAB IV information page below please contact us. This 50 metre (164 foot) luxury yacht was built by CRN Yachts (Ferretti Group) in 1997. Motor Yacht SAHAB IV is a ample superyacht. The naval architecture office which delivered the design details with respect to this ship is Crn and Studio Scanu. The vessel had interior design and styling was by Terence Disdale Design. Luxury yacht SAHAB IV is a good looking yacht that is able to accommodate up to 12 people on board and has a total of 10 crew members. Crn was the naval architect firm involved in the formal nautical plans for SAHAB IV. Also the company Crn and Studio Scanu successfully worked on this project. Interior designer Terence Disdale Design was employed for the overall internal styling. 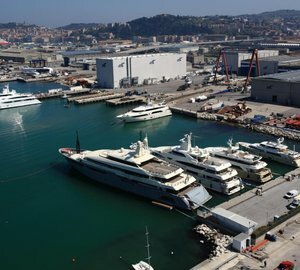 Italy is the country that Crn Yachts (Ferretti Group) constructed their new build motor yacht in. After formal launch in 1997 in Ancona the boat was thereafter handed over to the happy owner following sea trials. Her hull was crafted from steel. The motor yacht superstructure component is fabricated for the most part from aluminium. With a beam of 9.21 m or 30.2 ft SAHAB IV has spacious size. She has a fairly shallow draught of 2.55m (8.35ft). The TBD628B V12 engine installed in the motor yacht is built by DEUTZ-MWM. Connected to her Deutz-Mwm engine(s) are twin screw propellers. The main engine of the ship generates 2068 horse power (or 1538 kilowatts). She is fitted with 2 engines. The total output for the boat is therefore 4136 HP / 3076 KW. As far as stabalisers are concerned she was built with Koopnautic. The bow thrusters are Koopnautic. Apportioning bedding for a limit of 12 yacht guests sleeping aboard, the SAHAB IV accommodates everyone comfortably. She also uses approx 10 professional qualified crew to run. 49.96 metres / 163.9 feet. Deutz-Mwm 2 times 175 kilowatts. Around Sept 2009 SAHAB IV visited Piraeus, in Greece. SAHAB IV has cruised the waters near Attikí during the month of October 2009. Condaria is the the company which manufactured the air con to condition the air. Her deck material is predominantly a teak deck. 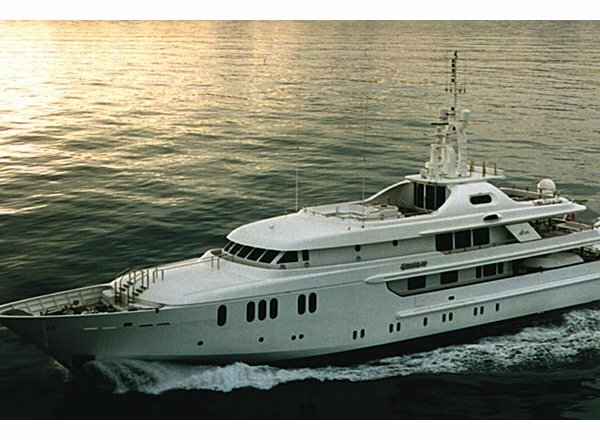 The luxury yacht SAHAB IV displayed on this page is merely informational and she is not necessarily available for yacht charter or for sale, nor is she represented or marketed in anyway by CharterWorld. This web page and the superyacht information contained herein is not contractual. All yacht specifications and informations are displayed in good faith but CharterWorld does not warrant or assume any legal liability or responsibility for the current accuracy, completeness, validity, or usefulness of any superyacht information and/or images displayed. All boat information is subject to change without prior notice and may not be current.